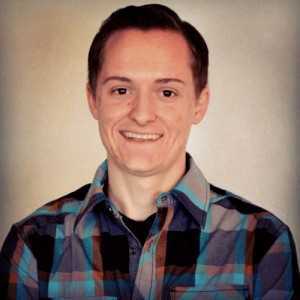 Kyle Clayton is a serial entrepreneur creating and operating a variety of local companies in Arizona. He has founded and operates Jackrabbit Janitorial, Awesome Cookie Company, Grey Area Consulting, and SimpleHome USA. Kyle graduated from Arizona State University. Follow him @KyleClaytonGore. My grandpa, James Hallen. He was our family’s first entrepreneur. Just because you can, doesn’t mean you should. It applies to so many things. For example, hiring new employees. Even if I have the money to hire, wait until it’s painful and you have no choice but to hire. You’ll save yourself having to cut back or having bigger problems on your hands down the road. Being too cautious. In some of my businesses, we could have grown fast but potentially been in a bind down the road when work drops off or clients change. Since we were growing these businesses in a recession, we took measured risks. Looking back, we could have been a bit less cautious. The first half hour of the day is spent reading pleasure material and having coffee. I try to ease myself into the day. The second half hour, I check on social media, emails, and sort out what is important. Then I move on to my top-priority task. You don’t need thousands of dollars or even hundreds of dollars to start a business. My first businesses were started with maybe a hundred dollars. We bought only what we needed to start getting clients and to spread the word about our new venture. As new clients came in, we had money to get better equipment without going into debt. These businesses are still running and fund themselves now. Money is not a barrier to starting a business. Grow at your own pace and celebrate the small things. You’ll keep yourself motivated and you won’t worry about what others are doing. You are your own competition – growing and succeeding means out-doing yourself, not the competition. Celebrating little victories, like a new client or a goal reached, keeps you motivated and focused on winning. I’ve already succeeded! Success to me comes in stages. As a person in my 20s, working and employing others in my companies makes me feel successful. That is where I am right now. However, I’ll know I’ve hit my ultimate goal of success when my businesses are large enough to operate autonomously while I go sailing!